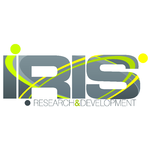 IRIS is a Spanish-based company that provides advanced engineering services and R&D solutions for industry for optimizing processes, and improving product performance, quality and safety. Our engineers and researchers have knowledge in production process engineering, optical engineering, smart systems, food technology, material science, as well as energy. We provide contract engineering and research services to industry, as well as develop low-cost technological solutions aimed at improving different aspects of manufacturing productivity and competitiveness. .- chemical and pharma industry: i.Ex Our optical engineers and researchers are developing detection solutions to assist pharmaceutical manufacturers in preventing cross-contamination and improving quality control in their plants.